Escape to our lush natural landscape. Escape to 14 tranquil acres dotted with swaying palm trees and fronted by 410 feet of private Pacific Ocean beach. The Westin Resort & Spa, Puerto Vallarta offers all this splendor just minutes from the international airport and charming downtown. 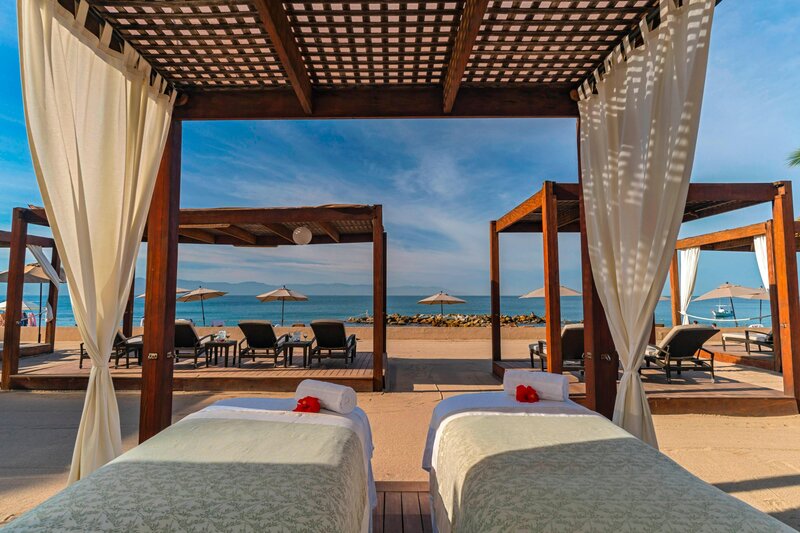 Beachfront pergolas and sparkling pools invite relaxation, while our serene spa offers head-to-toe pampering. Reenergize at the WestinWORKOUT® Fitness Studio, tennis courts, or nearby golf courses, or explore upscale shops and dining at the marina district across the road. Bright tropical colors and elegant, modern Mexican decor grace our 280 ocean-view rooms, each with a private balcony, plush Heavenly® Bed, and rejuvenating Heavenly® Bath. Set on 14 acres of lush grounds, our resort features all of the comforts you&apos;d expect from at Westin, as well as delicious on-site dining and close proximity to championship golf. From delicious poolside nibbles to elegant five course meals, we offer a range of dining options to please every guest. Fairy tale Puerto Vallarta weddings come to life at our beachfront resort. 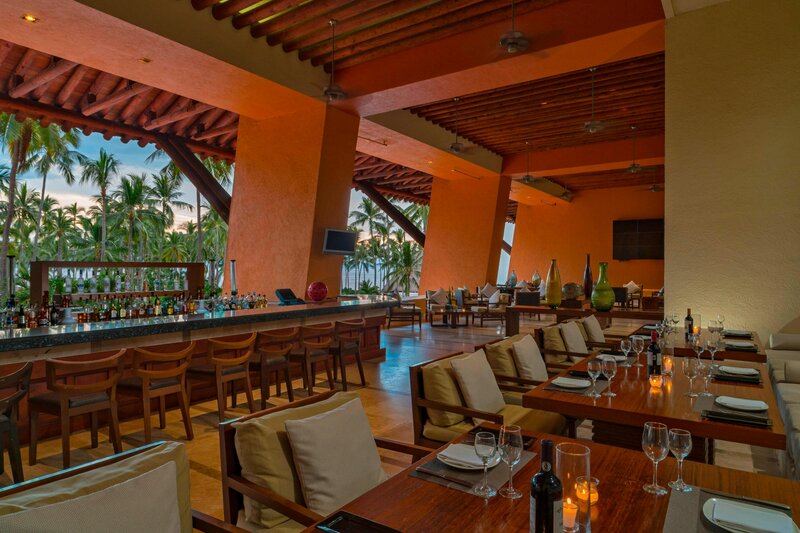 The Westin Resort & Spa, Puerto Vallarta provides a magical atmosphere for celebrations of any style. Picture yourself exchanging vows in an oceanfront or garden ceremony, followed by a moonlit, open-air reception. Relax your body, enrich your spirit, and find calm in an intimate and natural environment of peace and serenity: The Spa at The Westin Resort & Spa, Puerto Vallarta. Inspired by the resort’s beachfront setting and tropical surroundings, our spa is a place to retreat from the everyday and experience a new dimension of renewal. Step into one of our seven peaceful indoor treatment rooms and feel your cares drift away. Discover The Westin Resort & Spa, Puerto Vallarta offers all this splendor just minutes from the international airport and charming downtown. Escape to a beautiful beachfront with swaying palm trees. Newly renovated swimming pools surrounded by 600 palm trees and gardens. With 2 beach clubs: The Pergolas and Arrecifes and a renewed Westin Workout Fitness Studio.